E-Med has highly-qualified contractors to assist facilities in need of specialized assistance with technical expertise and can offer extensive industrial rescue standby services to provide the industrial sector with technical rescue guidance and contract Emergency Rescue Services as defined in OSHA 1910.146 and OSHA 1926.1211. We can even assist you with developing your own OSHA required rescue plans and train your existing team on the implementation of your developed rescue plans. For more information about our contractor service options for your organization, please contact E-Med Training Services, LLC at info@emedtraining.com or (866) 363-3001. E-Med has experienced Confined Space Rescue technicians qualified to NFPA 1006, NFPA 1670 and OSHA 1910.146 that are available for stand-by contractor services. In additional all of our rescue technicians are also medical trained. Need full-time, part-time or specific job only NREMTS? E-Med can help provide these medical professionals for you and your facility. When technical expertise is needed for working at heights or unique applications, our highly trained team of NFPA 1006 High-Angle Rope Rescue Technicians can provide rescue stand-by services for industrial facilities needing extra expertise in the event of an employee or contractor emergency while working at heights. 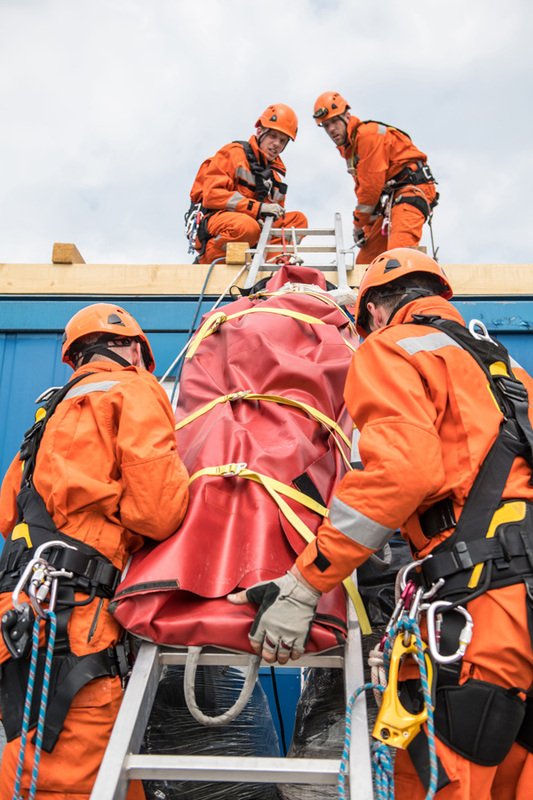 We can even give guidance on solutions for your current team and assist them by developing your on-site rescue plan using your own team, and can follow it through to the designated rescuers by training them how to implement it. Do you need technical expertise or qualified contractors for rescue stand-by?